Once I parked the car in the carpool line at Joe’s school, I started to look through Charlie’s school bag. “Oh Charlie! This is adorable!” I said, while holding up the sweetest little, tattered and well-loved doll. “Was Sarah already gone, when I picked you up at school?” I asked. I envisioned a poor little girl, getting home and finding out she left her baby doll at school. I wondered how she would face the night, and I wondered how her parents would face the night. My own experience taught me the night would not be a good one for Sarah or her parents. Many years ago, Rob and I brought home our first child. Okay, so only 6yrs have passed since we brought Joe home, but it feels more like 10yrs – at least the first three weeks did. Joe was a crier. He didn’t battle colic, he just battled being happy. At the risk of sharing too much information I tell you, if Joe was not attached to me and nursing, he was crying. If he fell asleep while nursing, he would wake up and cry the instant I tried to put him down. The kid didn’t see his crib until he was 16yrs old. Fine, I’m exaggerating. Joe was probably 6 months old before he slept in his crib for the first time. Dazed and confused I was pregnant again before he was 10months old, but that fact is not important right now. I was not a fan of pacifiers. 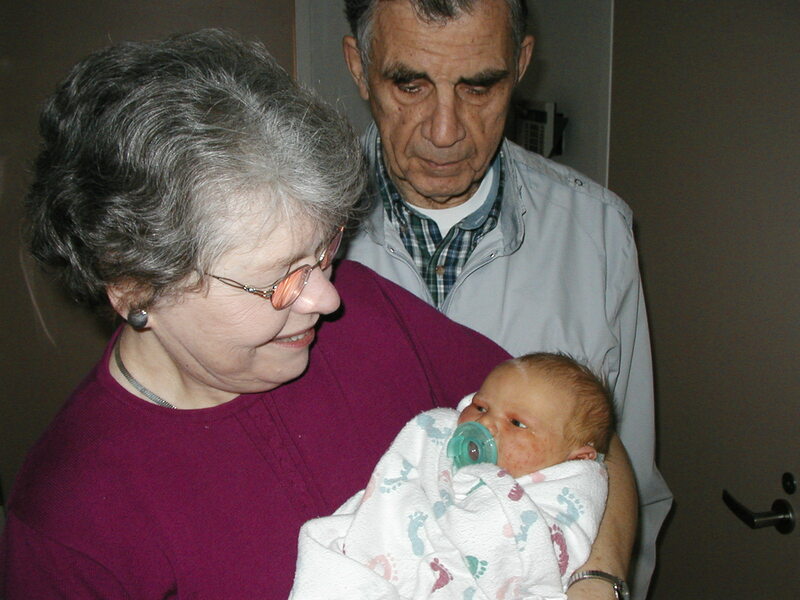 The instant my grandparents held Joe in the hospital, my mother-in-law stuck a pacifier in his mouth, and I immediately removed it from his mouth. Well, immediately in the sense that I had to remove all the IVs, monitor lines, and pull myself up to a standing position while heavily drugged. I suppose it was more like 10 minutes by the time I got to Joe and snatched the pacifier out of his mouth. Try though I did, I was unable to keep the pacifier away from Joe. The nurses used the pacifier, the grandparents used the pacifier, even my own husband used the pacifier … and then he let Joe have it. Long story short, in addition to bringing Joe home from the hospital, we brought home one of the pacifiers. I was not proud, and I was going to try and not use it; however, that pacifier became a security blanket for my husband and me. When I took a break from feeding Joe, the pacifier took my place. All was well, at least for the first few days. Then, one night, we lost the pacifier. Joe was in tears, Rob was in tears, and I was in tears, as we stumbled around the house at 1am, looking for that frickin’ frackin’ pacifier. Rob called the hospital, asking if we could make the 25 mile drive to pick up a pacifier from the maternity ward. We’d bring cash – lots of cash. Seriously, he did call, he did ask, and dang blast it – they said no. I called back and asked the nurse to read the name on the pacifier, then I went to the internet – at 2:30 in the morning – frantically looking to see if I could find this little latex wonder. What do you think you're doing, Charlie? 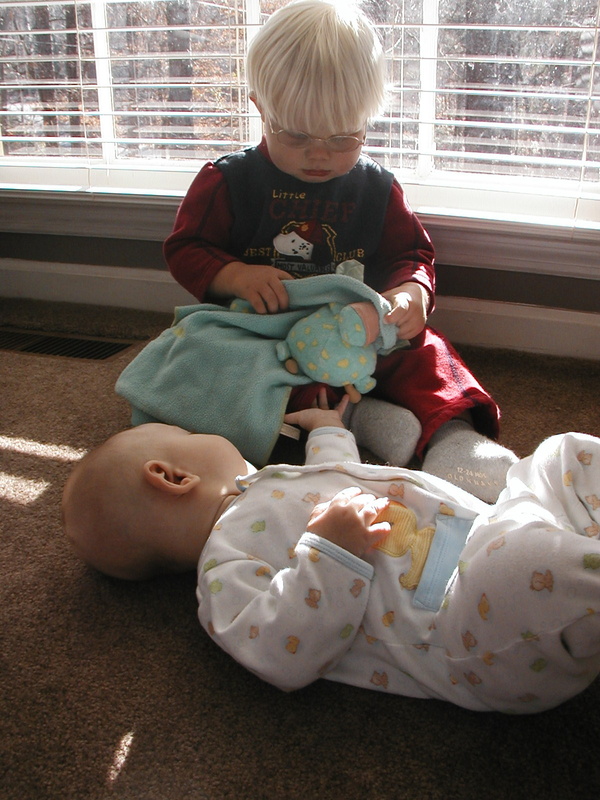 Fast forward eight months: Joe wants nothing to do with the pacifier. He was done with the pacifier before he was three months old. He moved on to better things – snugglier things – Joe moved on to Giraffey. I’ve written about Giraffey before today. And, as I type, my 6yr old son is in bed with Giraffey. One night, we left Giraffey at Grandma’s house. Joe was not amused. Rob and I flashed back to the night without the pacifier. Before he could call Grandma, the phone rang. It was Grandma; she had Giraffey, and she was going to meet us half way. Grandma understood. She got it. When I found the tattered baby doll in Charlie’s bag, I understood. I got it. When I received an email from Sarah’s Mom, sent to everyone in Sarah’s class, I understood. I got it. When I phoned Sarah’s Mom and told her we had it, and she told me that she and her husband checked the dumpster behind the school make sure it wasn’t thrown away, I understood. I got it. When my husband got in the car to take the tattered and well-loved baby doll back to Sarah tonight, he understood. He got it. We are parents. We get it. Joe and his 6yr old friend. You most certainly do. I loved every little story within the story of this post. How sweet of Charlie to know all the necessary information about Sarah’s doll. Your little boy is aware and “gets it” too. What a nice feeling for Sarah’s parents to know others are looking after their daughter and something that means so much. Thank you, Georgette. You are right – Charlie knows how much Joe needs his Giraffey, so he ‘gets’ that Sarah needs her baby. Sarah’s Mom and I had a good laugh on the phone, each relating to the other. I am glad you enjoyed my story. This story warmed my heart on this cold November morning! I love how your little boy knew that she would “need” her special friend and, having been through what you had, of course you both knew that a one way return trip was needed. Kindness & empathy … just loved every bit of this! MJ, I am happy you enjoyed the story. My heart went out to Sarah, while she was without her baby. I slept better knowing Baby was returned, and I know Sarah slept better, too. As I told Georgette, Charlie knows how much Giraffey means to Joe, so he was certainly empathetic towards Sarah. Charlie is a good egg. 🙂 Happy weekend, MJ. Oh I remember those days! Your kids are very cute. Nice, warm story. Thanks! Welcome, Bella! I am glad you enjoyed the story. Warm thoughts during the cold season. Can’t have too much of that now, can we? 🙂 Thank you for visiting and commenting. 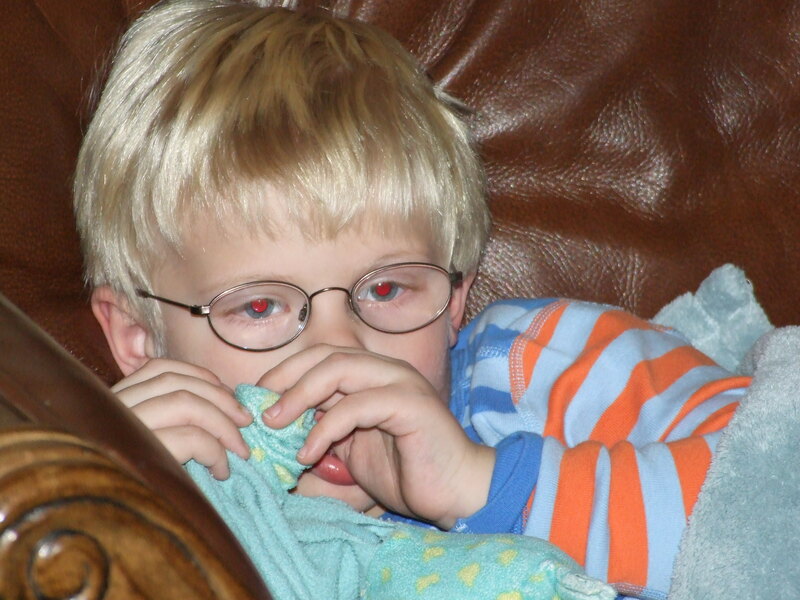 Your story about the lost binky and the panic you guys felt struck a chord. I have been there too many times. My son was like yours, a constant crier. Very hard to soothe. The binky helped and soon he couldn’t sleep without it. If we lost one, we turned the place upside down. Finally we bought several but even had times when ALL of them went missing! I don’t miss those days. We almost called the hospital up when Christian was a few weeks old. He wasn’t sleeping or eating (he had serious medical issues turned out) and Jim (out of sheer sleep deprivation I’m sure) wanted me to drive our son back to the hospital so the nurses could tell us what to do! I laugh about it now but at the time I considered doing it! The first few days/weeks of life with a newborn is life altering for certain. The fact that we can look back and laugh is a wonderful thing. A baby not eating or sleeping is definitely cause for concern. I can still feel my heart ache, when I think back to the babies being sick. So happy to be out of the baby stage. I loved this story – and all the little stories. My son once left his little monkey (who sucked his thumb) at a motel while we were traveling. We turned around (several hours later) and drove back to get it. I would have WALKED back to get it. Exactly, K8 – you would have WALKED back to get it. Through hell and high water, we’ll make sure our kids get their snuggly. I am glad you liked the story. Thank you for visiting. And… thanks for turning around and going back to get the little monkey. I get it but I don’t think my husband ever got it. Which is why we have not one ducky, but 5 (aside from the fact that I didn’t want to do laundry every day). My husband never got very concerned when a ducky got lost in the store – I can’t tell you how many times I went back to Costco or a grocery store in search of a lost ducky. My son is 8 and still goes to bed with his ducky; maybe some might say he’s too old for it, but I don’t care. It comforts him and when he’s ready, he’ll give it up (and I’ll put all 5 of them away somewhere safe and sound). I have to admit that I still have my Ted…although he is stuffingless and pretty much hairless, I took him from my parents home and I have him in a drawer in my dresser…I got him the day I was born from my grandpa and so that makes him almost 43 years old!!! So, yes, I get it too!! And Adler has Monkey and we all get it…even Xander understands the importance of Monkey (and I do have a spare!!). 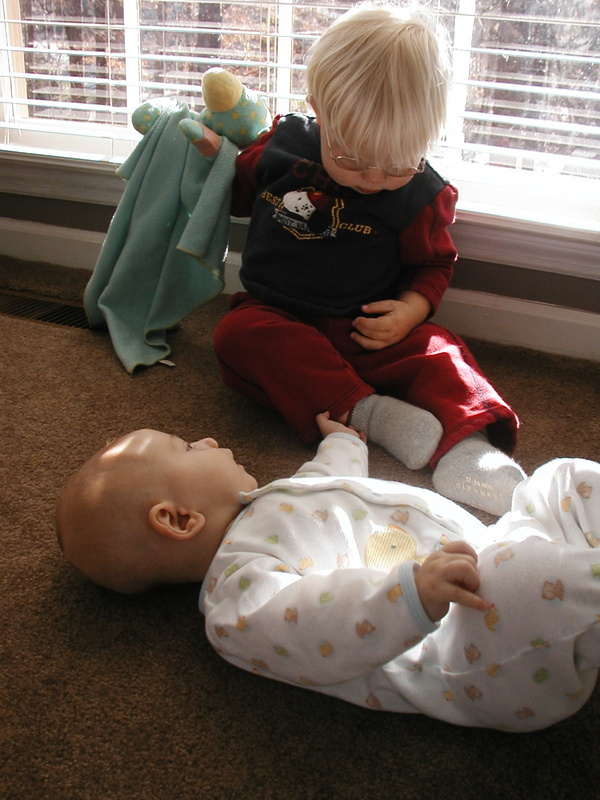 I am so happy you were able to get the doll back to is beloved owener…happiness all around! We also got it Lenore. Awesome post. It may sound funny that, although I am 25 years old, much older than Joy; still i have also some things which I can’t live without. Those are my best friends since my school days. For example- one blanket, I can’t actually remember when my parents bought me that. But i carry it with me where ever I go. and also I always keep a small ball just like table tennis ball, with me. When ever i am worried or tensed, i just take it in my hand. I do not know how, but the moment i start hitting it in wall & try to catch it. It just helps me to divert my attention. I hope you got it (smile) ! I’m glad she got her baby back so quickly. Thanks for being “that” mom. Me, too, Pattie. Sarah’s Mom called me again this morning to say ‘thank you’. Thank you for your kind words. And he’s out for the record. Thank you for setting the record straight. We know how the neighbors like to talk, and we don’t need to give them any more fuel. Your pediatrician was wise, and I am glad she didn’t discourage the cosleeping. Parents need sleep – and if it means sharing a bed, so be it. Glad you liked this post, Kim. I can’t imagine a Mom not being able to relate. 12 pacifiers, eh? Good times. Linda, the craziest part is that my husband and I decided to have a 2nd baby! Thankfully, Charlie was easier – happier – and well…. no pacifiers or Giraffeys needed. Thanks for visiting and commenting; I appreciate it. Beautiful. You do get it. Hope you can keep Giraffey safe until you can store him (?) for the next generation. My son’s companion “brown pup” is safely out of harms way until it is time for him to go back to work ten years or so down the line. Thank you, Oma. I appreciate your kind words. I hope there is enough Giraffey left to store, when Joe gets to the point of letting go. My Mom and my Mother-in-law have both stitched Giraffey several times, in an effort to keep the holes from getting larger. He is well loved – for certain. I absolutely love the fact that you have your son’s ‘brown pup’. You are a great Dad, Oma. That is awesome. Thank you for visiting. I am glad you loved the post. Layers of love in this incredible post. Many thanks for such a great an expose (acute over the last “e” please) of compassion and empathy. Thank you, Soul Dipper. I appreciate your time and comment. Always good to see you! SIG I seem to recall something along the lines of what you described. Maybe it was a skit? Can’t say with certainty, but I don’t think you are making it up. It is such a beautiful story! My favourite part was that Rob drove the doll back to Sarah. The getting it is something I might take some time to get, which is why his apparent ease in driving off with the doll makes him my hero for the day. Thank you for this post. Thank you, Priya. Thank you for taking the time to read and comment, as well as noticing the goodness that makes up Rob. He is my hero, too. I am not sure if my now-14-year-old ever slept in his crib. Nor could I get my now seven-year-old to transistion to his toddler bed. And whenever the husband is gone overnight on a trip the seven- and ten-year old sleep with me. Mine is the best bed. BTW, I am glad you guys got the doll back to her owner. She might have been worried about her little girl, too. She was worried. Very worried. She was glad to have her Baby back. When my son hurt his finger last night, he felt better the minute I asked if he wanted to sleep in my bed. Apparently, our bed is the best, too. Seeing all the crib bedding that is sold (and bought) for newborns makes me laugh. I suppose it is literally just for decoration. (smile) Thanks for stopping by here, Karyn. Many years have passed since my daughters were that young but I still remember and can relate. Good to see you, Bill. Having read your most recent post, I sincerely appreciate you taking the time to visit and comment. Truly. Your daughters are lucky to have grow up with a Dad like you. Look at your beautiful little thumb sucker…I love it! I’m a fan of thumb sucking, although it will probably cost me millions in orthodontic work. Both of my boys sucked their thumbs and stopped themselves when they were good and ready. They put bandaids on their thumbs every night until they stopped. When Anna was a baby she was given a stuffed lamb for Easter from my parents. She has never slept without Lambie, he’s her most prized possesion. Anna turned 12 yesterday and Lambie is as flat as a pancake, but he wears love well. I get it! Bias though I am … he is beautiful, isn’t he? And that thumb is still actively sucked. The funny thing, Nancy – Joe will go all day without sucking his thumb. BUT. The instant he touches Giraffey – the thumb goes in his mouth. I love watching it happen, and seeing that take place is something I’ll miss.